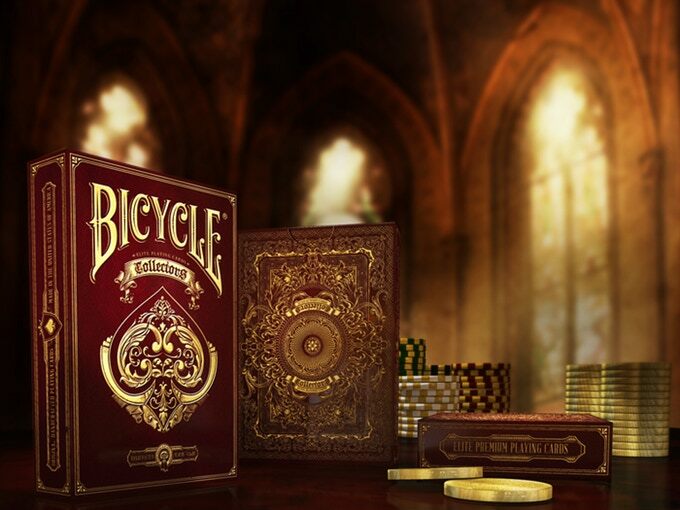 The classic, prestigious, Bicycle® Collectors deck highlights Elite's passion for perfection by combining creativity and distinction with the use of noble materials. 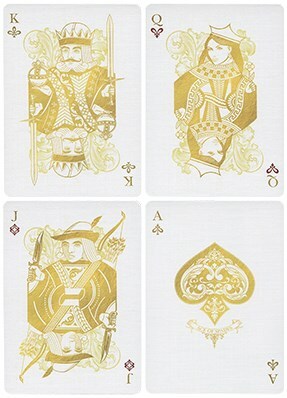 The play of light on the antique gold foil, the precious embossing, and the soft velvety texture of the deck make this limited edition a true collectors item. Drawing inspiration from the fine art of collecting playing cards, the elegant and refined details of the Bicycle® Collectors deck are accented by foiled and embossed elements and sealed with a limited edition, precision printed seal. With its sheer mastery of exceptional detail and expressive aesthetics, the Bicycle® Collectors deck is a product of patient, meticulous work. 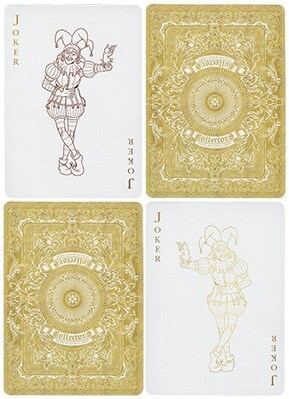 Every single card is handcrafted. Immediately distinguishable, the contemporary deep guilloché reinterprets the eternal flows of nature and the endless cycle of creation. 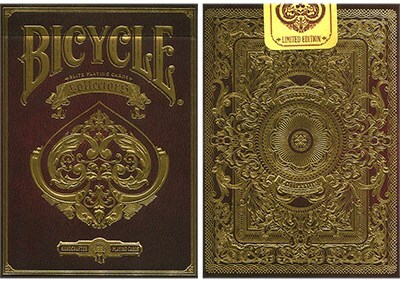 The Bicycle® Collectors deck offers a rare conjunction of striking design, premium materials and superb performance. 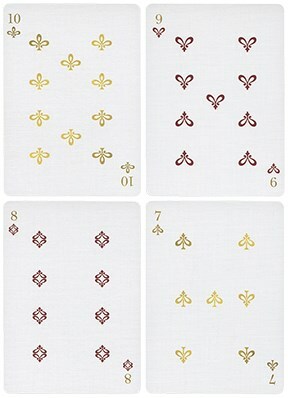 Printed by the United States Playing Card Company, the premiere choice of professionals around the world since 1867.